First thought: um, whoops. Immediately followed by this thought: WTF IS A BITCOIN??? Okay, I lied. That did not happen to me. That was merely a dramatized recreation of real-life events that did happen, though, to many other people in some 150 countries. I embellished with the Viking metal, but you get the general idea. The point is, that reaction was pure. Bitcoin had already been around for a full nine years at that point, and I had never heard of it. Google, Wikipedia, research research research. Turns out there’s no reason I should have heard of it, since bitcoin is largely used by cybercriminals, gun runners, drug dealers and other undesirables as a means of buying and selling things that are not supposed to be bought or sold, anonymously. Unless you live on the shady side of Law Street, bitcoin SHOULD be a blissful ignorance. That is the perception, sure. Even the real identity of its founder, Satoshi Nakamoto, is unknown. That’s not a good start. But what gives? Is it just a bunch of bitcoin haters hating, or is there any actual truth behind the bad rep? Well, yes. Some. It was and is still used for some nefarious acts. And while the blockchain technology that was built to support it provides a transparent audit trail from wallet to wallet for all to see, the real identities of the holders of said wallets can be kept private. Very interesting indeed. 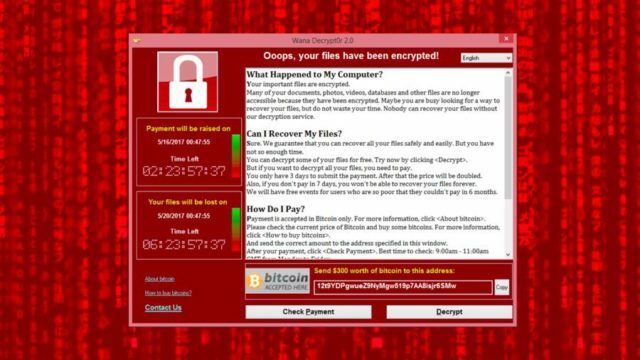 And it’s probably no coincidence that at the time of the WannaCry attacks, a bitcoin was valued at about $2,000. This then soared by the end of the year to over $19,000. It is currently just south of $8,000. What is your deal, anyway, bitcoin? Bitcoin is a teenager of a currency, if ever there was one. Enigmatic, wildly unpredictable, rebellious, and above all, misunderstood. Maybe I should have prefaced this post by stating that I have never personally used bitcoin, nor invested in it. So I have no skin in the bitcoin game; my interest is probably the same as yours--mere curiosity. I want to know where this story is going. To understand bitcoin, though, you have to first realize that there are two very distinct sides to the story. One is the investment side, and the other is the user side. On the investment side, you have speculators that began pouring money into the cryptocurrency like the next big thing (see prices above). “Pump-and-dump,” “balloon” and even “Ponzi scheme” became readily associated with it. Warren Buffett said recently that investing in cryptos will “almost certainly end badly.” Only time will tell with the investment aspect of bitcoin. For users, bitcoin offers fast, direct payments that are traceable. We’ve touched on some of the negative uses, but that is one-sided. People buy guns and drugs with cash as well. In its struggle for legitimacy, bitcoin is turning the tide in its favor, now being accepted by the likes of Overstock.com, Microsoft and Expedia. So, verdict time. Does bitcoin deserve the reputation? No. As far as investors, it is an investment like any other—subject to gains and losses. Yes, it is risky, but so is speculating in most areas. You don’t hear many complaints from those who bought as recently as six months ago. Yes, bad guys use bitcoin. They also use some of the other nearly 1,500 cryptocurrencies, too. It wasn’t created for them, they are merely taking advantage of some of its properties. The one thing most overlooked in the great bitcoin debate is the technology that enabled it. Blockchain is opening up all sorts of possibilities that people are just becoming aware of, in all different industries. From faster, secure financial services to tracing coffee beans from farm to cup, the surface is just barely being scratched. Bitcoin will do its thing, but keep an eye on that blockchain to see the real action.